What a great read! 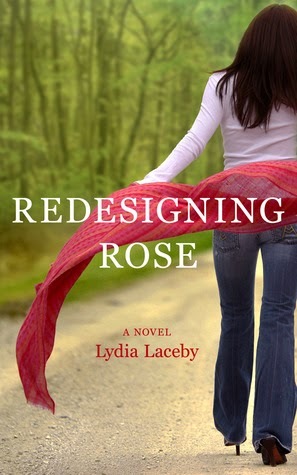 I'm loving contemporary fiction right now, and Redesigning Rose was such a perfect example of why I love this genre. Redesigning Rose has a strong lead character, great female friendships and a sweet love story to boot. Rose, the protagonist, is smart, strong, and finally standing up for herself. The book starts with the revelation about her husband's illicit dealings, which have wrecked their finances and their marriage. Rose decides to leave her husband: the only problem is, she has nowhere to go. She bumps into a friend from garden club, Becky, and Becky convinces Rose to stay with her until she gets on her feet. Becky is also separated from her husband, so the two women have that in common. Becky and Rose are fast friends, and I loved their relationship. Becky brought out a different, freer side of Rose and that was a lot of fun to read about. Rose goes through a lot of self-discovery in this book. I love that she doesn't completely blame her husband for everything that went wrong in her life. She examines her own actions and beliefs, and figures out where she went wrong too. Rose is truly shaken by her husband's deception, yet she doesn't let it crush her. She's determined not to repeat her past mistakes, and not to jump into a new relationship before she's dissected her marriage. I loved everything about Redesigning Rose. From the well-developed characters, the character growth, the imagery, to the love story, this was a perfect book. This was my first time reading Lydia Laceby and I'll definitely be back for more. Great review, Kelli! I’ve been seeing this book and now I really want to read it. Thanks so much for sharing. Thank you for such a thoughtful review, Kelli! I'm so thrilled you loved Redesigning Rose! Sounds reallllly good. Great review.